Here, at last, is my “The Last Guardian” PS4 Review. The Last Guardian is a game that has been so long awaited that when it was announced that it was finally going to be released, many didn’t believe it. After suffering from many delays, Fumito Ueda’s latest game is here. 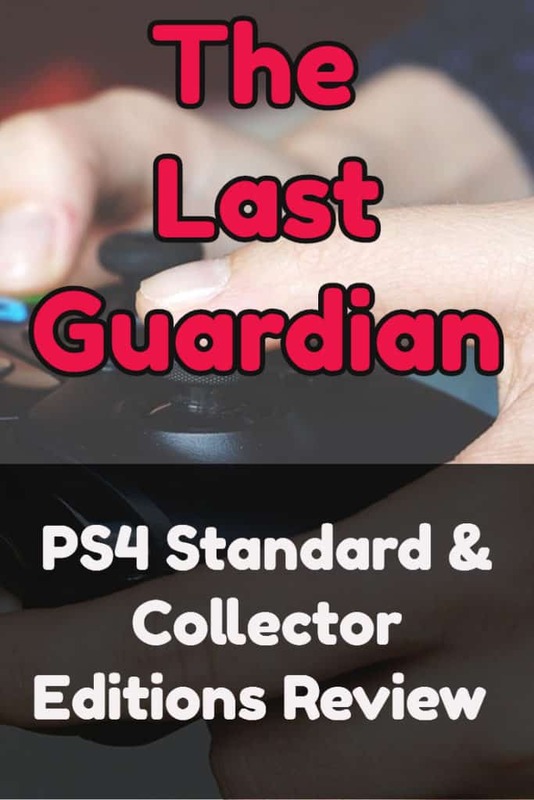 What is The Last Guardian Story? 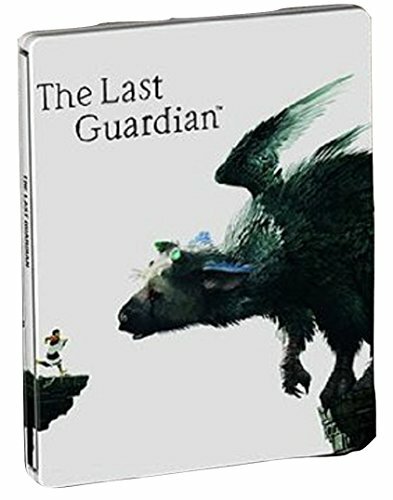 Like many of the other games designed by Fumito Ueda, The Last Guardian is a fantasy action adventure game involving a mysterious world and a young boy embarking on an adventure. The graphics and physics in The Last Guardian are revolutionary, and extremely detailed. In fact, each feather of your sidekick animal is rendered individually, each one reacting to wind and physics uniquely. In The Last Guardian, you take control of a young boy, who remains unnamed for the whole game. You have been kidnapped, and taken to a massive mysterious castle, and must escape. After getting out of the room you were confined to, you encounter a large creature, Trico. Resembling a cross between a large feathered creature and a dog of some kind, Trico will be your sidekick and you will have to learn to work with it to escape. At first, Trico is a bit hostile towards you, but that soon changes after healing its wounds and feeding it. In order to escape from the castle, you must work with Trico to solve puzzles and get past guards. However, one of the major parts of the game is the fact that Trico is not just an obedient dog that does whatever it’s told, but instead has to have its trust earned. Like a real animal, Trico may have to be told multiple times to do something before it actually does it. As time goes on, if you maintain a good bond with Trico, it will be more receptive to commands and more trusting. If Trico is in an angry mood, it will be less receptive to commands. You can tell how Trico feels by watching its motions and looking at the color of its eyes. You can make Trico happy and more trusting by healing it, giving it food, and letting it wander free from time to time like an animal would like to. 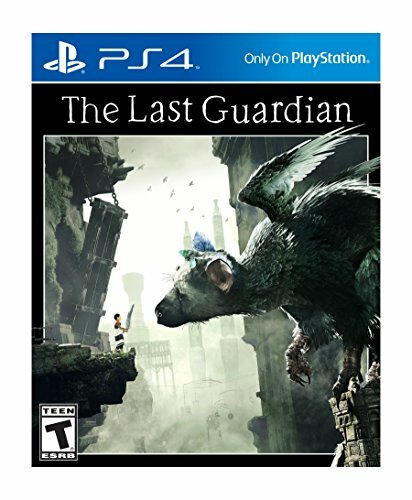 What Editions is “The Last Guardian” Available In? The Last Guardian is a PS4 exclusive, and has two editions available to choose from. The first one is Standard Edition, which includes the base game. 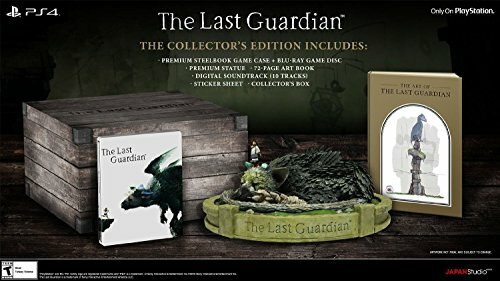 The Collector’s Edition has the game in a steel book case, a Blu-ray game disc, a statue of Trico and the boy, a 72-page art book, a 10-song digital soundtrack, a sticker sheet, and a collector’s box.